David is Associate Professor and Australian Research Council Future Fellow in the School of Geography. He combines qualitative research on embodied practices with social theory to explore the social, political and ethical consequences of mobile lives. His research draws on cultural geography and mobilities research to investigate contemporary social problems involving mobility-labour relationships. Recent and forthcoming research projects are about the impact of commuting on cities; how mobile working practices are reshaping the home; and how new forms of workplace artificial intelligence are impacting on employment futures and family mobilities. David graduated from the University of Cambridge in 2003 with a BA in Geography. He undertook his ESRC-funded postgraduate studies at Durham University, graduating with a Masters in Research Methods in 2004 and a PhD in Human Geography in 2008. He was lecturer in human geography in the School of Environment and Technology at the University of Brighton between 2008 and 2009. He was lecturer, then senior lecturer in the School of Sociology at the Australian National University between 2009 and 2017. He moved to the University of Melbourne in 2017. Originally from Norfolk, he is grateful for the inspiration that Stalham High School and the City of Norwich School provided. 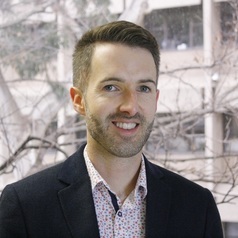 David is the Steering Committee Chair for AusMob, the new Australian Mobilities Research Network.